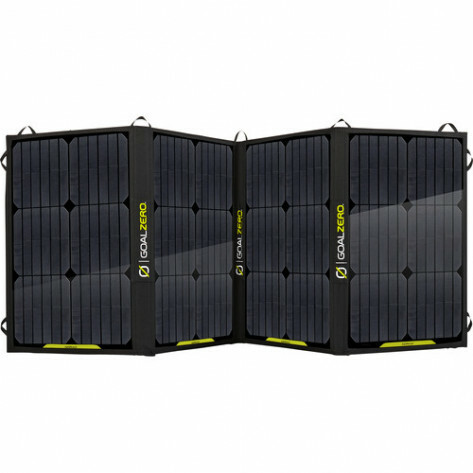 The Nomad 100 Solar Panel is Goal Zero's largest solar panel. 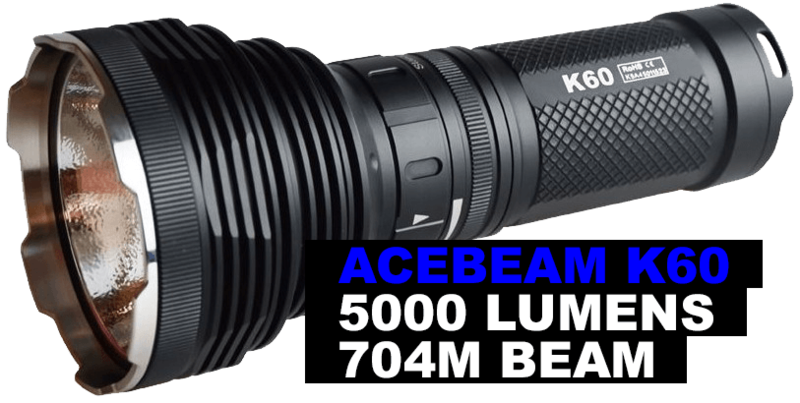 Portable, rugged, and powerful. 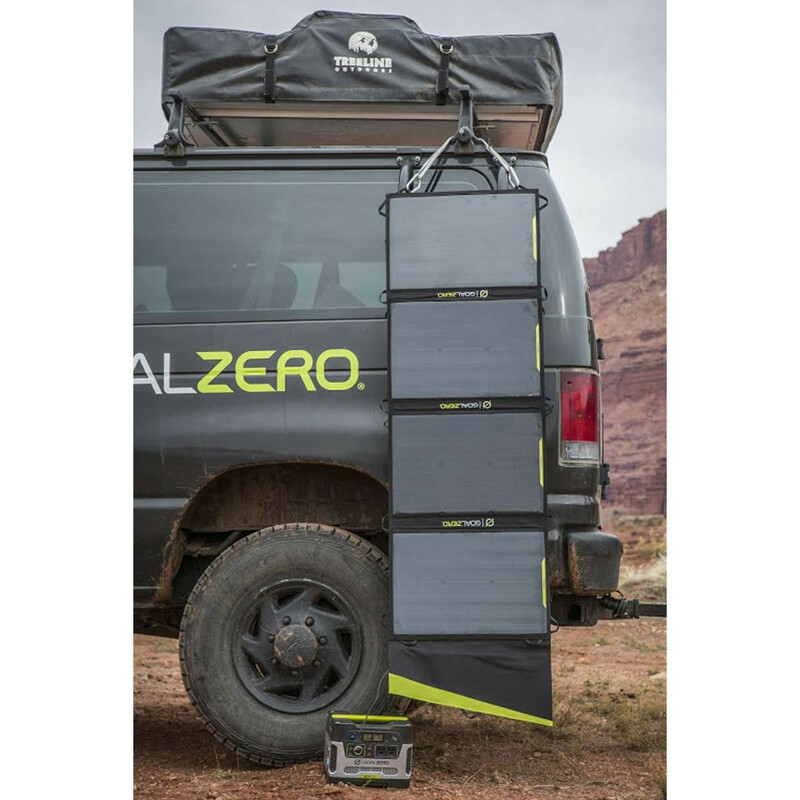 The Nomad 100 Solar Panel is Goal Zero's largest solar panel. Portable, rugged, and powerful. Designed for mobile basecamps and die-hard adventurers. Built-in charging cable for Sherpa Power Packs and Goal Zero Yeti Portable Power Station. Can be chained with other solar panels to collect more power from the sun. The Nomad 100 paired with the Yeti 400 or Yeti 1250 gives you the ultimate solar power kit. 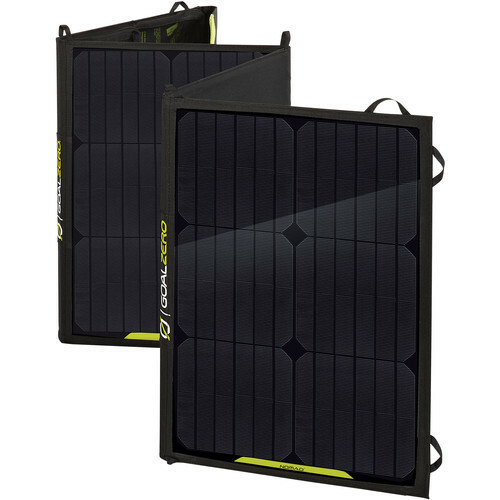 Charge the Yeti 400 in about 8 hours and the Yeti 1250 in about 24 hours with one Nomad 100 Solar Panel.